Bruce C. Wearne BA MSocSc PhD is a sociologist from Port Londsdale, Australia. He was senior lecturer at taught at Monash University before he took early retirement. His doctoral dissertation was on Talcott Parsons. Bruce C. Wearne, ed. 2013. Finding an Alternative to Over-Development by Bob Goudzwaard. Bristol & Asia: All of life Redeemed. "Seed:the salt of the earth is no opiate of the masses" Newsletter FCS NZ No 12 (April) pp 1-4. "Christian social science as a vocation" Newsletter FCS NZ No 13 (August) pp 10-18. "Graduate conference" Newsletter FCS NZ No 14 (November) pp 11-14. "Confronting the temple of valueless fact - between Mount Carmel and the Ming-Ming"
"Review of Hans Rookmaaker - a biography by Linette Martin" Newsletter FCS NZ No 17 (December) pp 15-16. 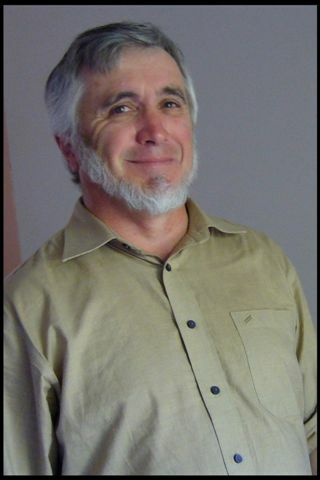 "A Christian Social Perspective by Alan Storkey" Newsletter FCS NZ No 17 (December) pp 19-22. "Marx's theses on Feuerbach: a humanistic catechism" Findings (FCS NZ) No 1 pp 17- 33. "Talcott Parsons' Appraisal and Critique of Alfred Marshall" Social Research 48:4, Winter 1981 816-851 (Published Version of MSocSc dissertation). "A New Beginning in Christian Social Theory" Anakainosis 4(1) September, 1981. "Calvin and Dooyeweerd (parts 1 and 2)" Nurture Spring (October 1982) and Summer (January 1983). "Review Essay: The Calvinistic ethic and the spirit of renewal in some recent Christian scholarship"
"And miles to go before I sleep" Naked Wasp (Chisholm Student Union Inc) Vol. 12(6) p. 18. "Whatever happened to Michael Griffiths?" Tyndale Paper 34 (3). "Samuel Eliot Morison's tercentenary lament" Lucas: An Evangelical History Review No 16 (Dec) pp 46-64. Social Theory and the Myth of Religious Neutrality: Introductory Theses for a Christian Sociology. Paper Presented to Author Meets Critics Session : Roy A Clouser The Myth of Religious Neutrality University of Notre Dame Press 1991. Society for the Scientific Study of Religion. November 8th, 1992. Washington D.C.
Book Review: The Myth of Religious Neutrality: An Essay on the Hidden Role of Religious Belief in Theories Roy A. Clouser Notre Dame and London: Notre Dame University Press, 1991. "Scripture and Tradition in Enlightenment Thought," Evangelical Review of Theology 19.2 (1995): 167-175. Christian students in the university crisis. Potchefstroom, South Africa: Potchefstroom University for Higher Education. "A Free University and Professional Formation: Principles for Organisational Integrity" presented at the Sixth Annual NCICEScholarly Conference, for Post-Graduate Students and Academics, Shaping the Christian Mind, Merroo Conference Centre, Sydney, 18-20. July 1996.
Review of "Bob Goudzwaard's Reforming economics: Close Engagement and Vision for Accountable Stewardship" in Journal of the Association of Christian Economists ISSN 0956-3067 23 Aug 97 26-32. "Elias and Parsons: Two Transformations of the Problem-Historical Method" in A Javier Trevino (ed) Talcott Parsons Today: His Theory and Legacy in Contemporary Sociology Rowman and Littlefield, 61-78. Artful Dodging: Seeking a place for Christian higher education in Australia after 15 years of political reforms. (Port Lonsdale, Australia: Bruce C. Wearne, Februrary 2001). "Bernard Barber's Social System Theory" The American Sociologist Summer 33 (2) 86-104. "Dooyeweerd and Parsons - Some initial dot points…"
"Ticket and Travel - 20 propositions" contribution to Tramjatra a community arts project linking trams in Melbourne and Kolkata. RMIT. See also tramtatic and The Connies. Public Justice for All: An Annotated Bibliography of the Works of James W. Skillen, 1967-2006. • What are Sociological Concepts? (editor) Special edition of Philosophia Reformata devoted to Klapwijk's Purpose in the Living World?